Cabbage, celery, carrot, onion and clear noodle wrapped and deep fried, Served with sweet plum sauce. ilantro wrapped in rice wrapper with special dipping sauce. Deep – fried tofu, served with chili sauce crushed peanut sauce. Grass noodle to a golden brown served with special sauce. Deep – Fried seasoned chicken wings with a mild touch of spiciness, served with sweet chilli sauce. Grill marinated chicken on skewers in Thai herbs and spices, served with peanut sauce and cucumber sauce. Deep – fried shrimp with ground chicken, green onions and clear noodle wrapped, served with sweet plum sauce. 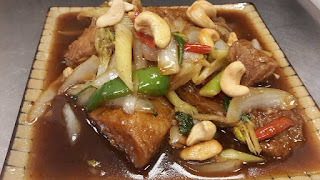 Fish meat beaten with Thai herbs and spices in red curry, served with cucumber sauce. Potatoes and onions curry powder. Served with plum sauce. Thai style hot and sour soup with mushrooms, lemon grass, galangal root, Kaffir lime leaves with green onions and cilantro. Delicate coconut soup with mushroom, lime juice, Kaffir lime leaves, galangal root, topped with green onions and cilantro. Chicken Only, bamboo shoots, water chestnut and egg. Grass noodles with tofu napa, green onion, mushroom cilantro. Boiled rice soup with chicken, green onion, ginger and garlic. Old Thai style soup filled in with shrimp, squid, crab meat, scallop, fish, onions, mushrooms, basil and some herbs & spices. .Romaine Heart Lettuce, tomato, cucumber, fried tofu, bean sprouts, carrots and green onions. Served with side of peanut sauce. Sliced green apple, cashews, white / green onions, lime juice, carrots. Ground chicken mixed with red/green onions, cilantro, rice powder, lime juice and served on a bed of lettuce. lime juice and served on a bed of lettuce. and lime juice and served on a bed of lettuce. Shrimp, squid, crabmeat, scallop and mussels with cucumber red/green onion, celery, tomato, bell pepper and lime juice. Served on a bed of lettuce. Grass noodles mixed with minced chicken and shrimp, red onions, scallion, tomato, cilantro, bean sprout and lime juice. Stir fried rice noodles with egg, bean sprouts, and green onions in pad Thai sauce topped with crushed peanuts and lime. Stir fried rice noodles with egg, bean sprouts, green onions with light Thai powder in coconut curry sauce topped with crushed peanuts. Stir fried wide rice noodles with egg, Chinese broccoli, broccoli and Thai sweet brown sauce. Stir fried wide rice noodles with egg, Chinese broccoli, broccoli, pea pods, bell peppers, carrots, green onions, bean sprout and basil. carrot, tomato, white / green onion and roasted cashew nuts. Stir fried wide rice noodles with egg, white / green onions, bell peppers, carrots and broccoli with curry powder. Stir fried transparent noodles with egg , napa, white/ green onions, bean sprout, peapod, bell peppers, cabbage and carrots. Stir fried wide rice noodles with egg, onions, bell peppers, bamboo shoots, green beans and roasted chili paste sauce. Northern Thai noodles in curry sauce with egg noodle, red onion, dry shallots, bean sprouts topped with crispy noodle. Broccoli, carrots, bamboo shoots, bean sprouts, green onions stirred in with Thai style egg noodles and special brown gravy sauce. Wide rice noodles with egg, white / green onions, carrots, bean sprouts in a Sriracha sauce. White onions, potatoes with yellow curry powder Served over rice noodles. Stir fried transparent noodles with egg, napa, carrots, and onions with Thai style sukiyaki sauce. Steamed egg noodle topped with Shrimp, beef, pork, chicken bamboo shoots, mushrooms, onions, bell peppers, broccoli, celery and carrots in brown gravy. Stir – fry with red curry, bamboo shoots, bell peppers, mushrooms, basil leaves and coconut milk. Stir-fry with green curry , sliced eggplant, bell peppers, bamboo shoots, pea-carrots, basil leaves and coconut milk. Stir-fry with red curry, eggplant, bell peppers, bamboo shoots, white onions, mushrooms, basil leaves. Stir-fry with panang curry, bell peppers, carrots, string beans, pineapple, kaffir lime leaves and coconut milk. Stir – fry with Matsaman curry, peanuts, onions, potatoes, carrots and coconut milk. Water chestnut, napa, baby corn, carrot, eggplant, broccoli, celery, bamboo shoots, bell peppers, peapod, cabbage and mushroom. Stir-fry with yellow curry, onions, potatoes, carrots and coconut milk. Stir-fry with in red curry with coconut milk, pineapple, bell pepper, bamboo shoots and tomato. Stir-fry with red curry, eggplant, string beans, bamboo shoots, bell peppers, baby corn, carrots, broccoli , mushroom and Rhizome slice. Stir – fry with red curry, shrimp, scallops, crab meat, bamboo shoots, bell peppers, mushrooms, basil leaves and coconut milk. Stir fried red curry with coconut milk in peanut sauce mixed with onion, carrot, broccoli, bamboo shoots, bell peppers. Steamed broccoli, carrots, cabbage topped with peanut sauce. Stir-fry with white onions, green onions, bell peppers, bamboo shoots, mushrooms and garlic. Stir-fry with onions, bell peppers, bamboo shoots, mushroom, celery, water chestnuts, baby corn and almonds. Stir-fry with ginger, black mushrooms, onions, green onions, carrots and bell peppers. Stir-fry with onions, broccoli, carrots, mushrooms, baby corn and garlic. Stir-fry with broccoli, bell pepper, onion, carrots, garlic in brown sauce. Stir-fry with baby corn, napa, cabbage, mushrooms, white / green onions, carrots and peapods. Stir-fry with eggplant, white onion, red / green peppers, basil leaves and garlic in special brown sauce. Stir-fry with mushroom, napa, bell peppers, celery, basil with roasted chili paste in a brown sauce. Stir-fry with garlic, black peppers, white / green onions and water chestnuts in a garlic sauce. Ground chicken only sautéed with garlic, bell peppers, white / green onions, string bean and holy basil leaves. Ground chicken only sautéed with garlic, bamboo shoots, bell pepper, white / green onion and basil leaves. Sliced beef with bell peppers, bamboo shoots, white onions, black pepper and garlic. Pineapples, bamboo shoots, bell pepper, carrots, baby corn and broccoli in special brown sauce. Chicken, Beef, and Shrimp with broccoli, carrots, peapods, bamboo shoots, baby corn and mushroom in our special brown sauce. Chicken, Beef, Pork and Shrimp with broccoli, carrots, peapods, bamboo shoots, baby corn and mushroom in a brown sauce. and pineapple in sweet & sour sauce. Fried rice with egg, bell peppers, white / green onions, carrot and holy basil leaves. Fried rice with egg and all vegetable. Fried rice with egg, white / green onions, bell peppers, carrots and curry powder. Fried rice with egg, pineapple, cashew nuts, white / green onions, carrots and tomatoes in sweet & sour sauce. Fried rice with egg, white / green onions and garlic. Fried rice with egg, white / green onions, bell peppers, bean sprout, peapods, broccoli, carrots and roasted chili paste. Fried rice with egg, bell peppers, white / green onions, string bean, carrots and basil. Fried rice with egg, string bean, white / green onions in Prik Khing sauce. Deep fried frog legs with garlic, bell peppers, mushrooms, bamboo shoots, onions, string bean, holy basil leaves in a brown sauce. Deep fried frog legs with garlic, white / green onions, carrots over lettuce in a brown sauce. Deep fried frog legs with broccolis, bell peppers, bamboo shoots, mushrooms and garlic in a brown sauce. Deep fried frog legs with hot red curry, bamboo shoots, eggplants, bell peppers, mushroom, Rhizome sliced and kaffir lime leaves. Shrimp, scallops, squid, crabmeat and mussels with bamboo shoot, broccoli, mushroom, celery, napa, cabbage, peapods ,carrot, green pepper and baby corn stir-fried in red curry sauce. Shrimp, scallops, squid, crabmeat, and mussels with peapods, broccoli, baby corn, carrots, onion and mushrooms stir-fried in brown sauce. Shrimp, scallops, squid, crabmeat, and mussels with cream curry sauce, onions, green peppers, mushrooms, carrots and basil. string bean and sweet basil leaves in our special brown sauce. Stir-fried Jumbo Shrimp with egg, bamboo shoot, bell pepper, carrot, bean sprout, white / green onion, chili paste and basil in brown sauce. Stir-fry with roasted duck, Thai hot curry sauce, pineapple, tomatoes, bell peppers, carrots, bamboo shoots, basil and coconut milk. Stir-fry with roasted duck, bamboo shoots, broccoli, carrots, baby corn, mushrooms, white onion and peapods in a brown sauce. with coconut milk and bell pepper. curry sauce with pea-carrot, bell pepper and coconut milk. Deed-fried Cat fish fillet saute’ed in Thai spicy red curry with eggplant, green/red peppers, onion, Kaffir lime leaves, Rhizome slice and basil. Deed-fried Tilapia Fish fillet topped with red / green pepper, garlic, white onion, basil leaves in Thai chili sauce. Deed-fried Tilapia Fish fillet topped with white onions, red / green peppers, pineapple, cucumber and tomatoes in sweet and sour sauce. Deed-fried Cat fish with red onion, white / green onion and bell pepper in our special brown sauce. Deed-fried Cat fish with Thai spicy red curry, Kaffir lime leaves, onions, bell peppers, pineapples, tomatoes and coconut milk. 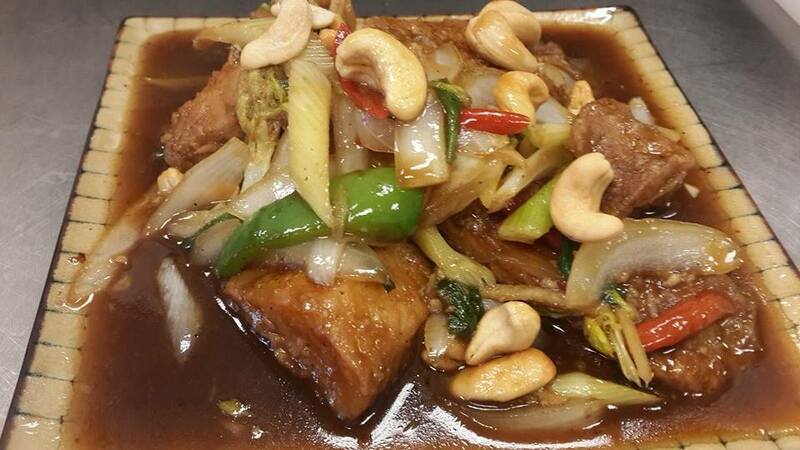 Deed-fried Tilappia Fish with garlic, onions, carrots, Thai chili and chili paste in our special brown sauce. Deed-fried Tilapia fish with garlic, ginger, white/green onions, carrot, and mushroom in our special brown sauce. Chopped chicken in a special light brown sauce with eggplants, diced onions and red / green peppers. in special sauce. Deep fried breaded chicken with sweet & sour honey sauce, pineapple, bell pepper and white onion. Fresh diced tofu stirred in with chopped chicken, onions, black mushrooms, pea-carrots, and ginger in a home cooked special sauce. Deed-fried chicken with garlic, ginger, white / green onions, celery, mushroom, cashew nut, and Thai chili in our special brown sauce. Sliced beef with ginger, white onions, carrots and mushrooms in our special brown sauce. Tofu & Shrimp stir fried with green/white onion, bamboo shoots in our special sauce with bean curds. I found some useful information from your blog. I consider your blog as a great source. Keep Sharing. Wonderful blog & good post.Its really helpful for me, waiting for more new post. Keep Blogging! Thanks for sharing such a wonderful post. 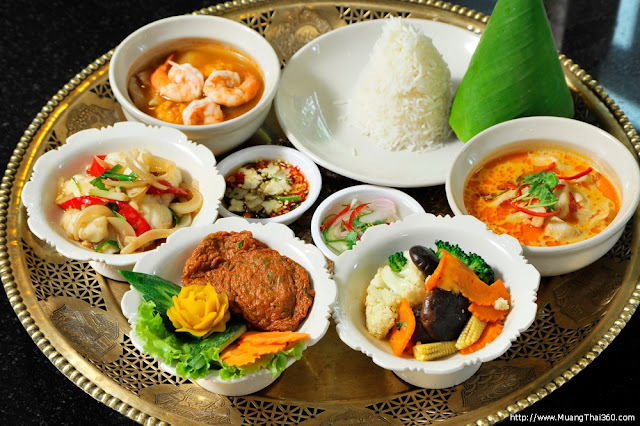 Who ever looking for the Indian Restaurant in koh samui, then Visit Curry Hut Indian. It is one of the Best indian Restaurant in koh samui. Hey Nice Blog!!! Thank you for sharing information. Wonderful blog & good post.Its really helpful for me, waiting for a more new post. Keep Blogging!